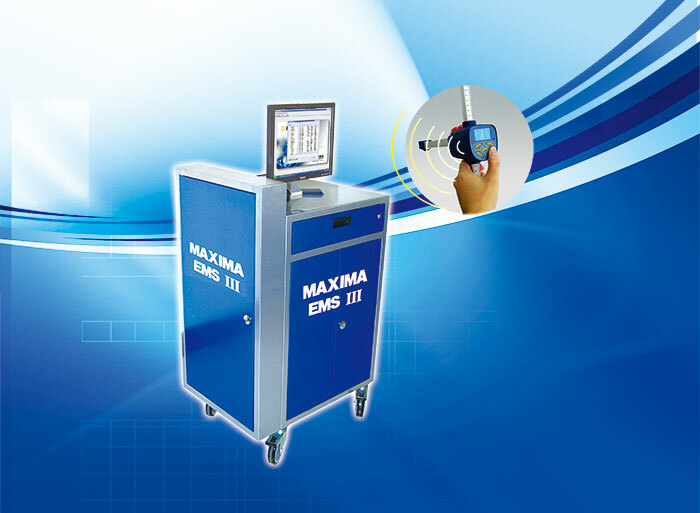 MAXIMA-EMSIII is based on new generation technology both regarding hardware and sofeware. 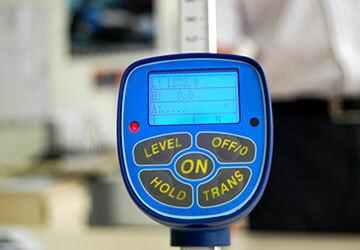 The efficient and easy to use measuring device, in combination with the m- arket`s best available online vehicle database (covering more than 5,000 models), g- ives you an affordable world class measuring system. ◆ Quick and easy measuring of the vehicle. 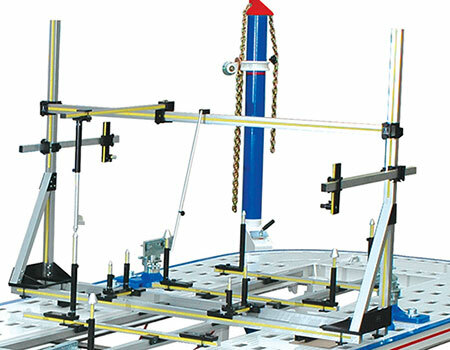 ◆ Various height measuring rods meet all kinds of distortion and parts on the vehicle. ◆ Patented self centring magnet attachment enables one person operation. ◆ Continuous update of the datebase(approx. 300 new vehicles a year). ◆ ONLINE vehicle data, no need for CD updates. ◆ The measured value can be transmitted steadily to the computer by BLUETOOTH. 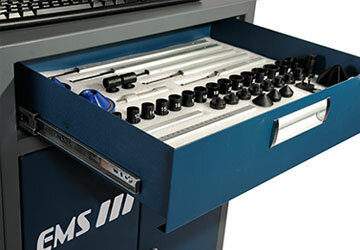 ◆ It`s versatility allows it to be used on all types of repair systems, e.g. 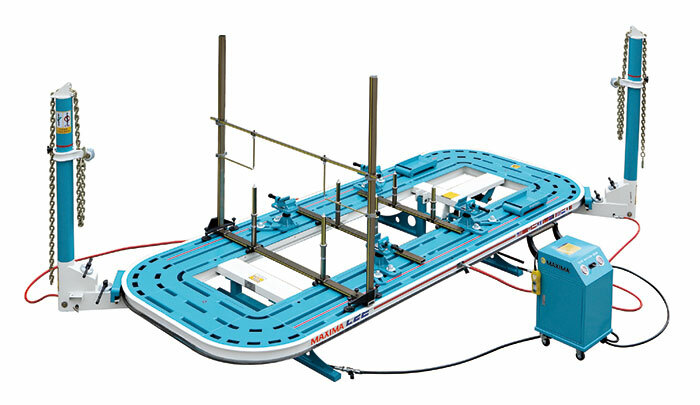 benches, liftes and floor systems.